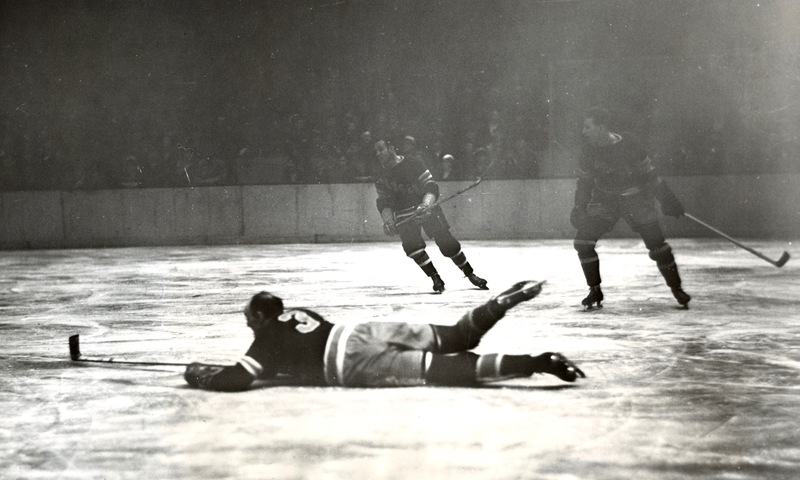 Homestretch: Defenceman Ching Johnson lies down on the job during a New York Rangers game at Madison Square Garden in January of 1934. 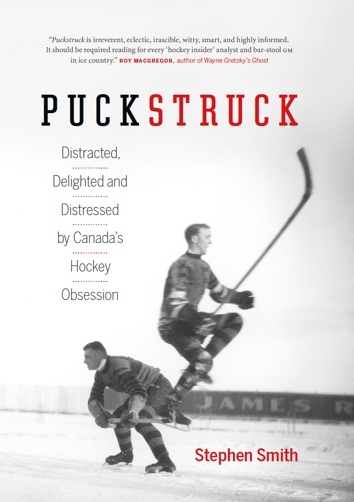 The home team beat Montreal’s Maroons on the night on the strength of Frank Boucher’s two goals. Still on their feet are Rangers (right) Ott Heller and (possibly) Murray Murdoch. Unless, maybe, is it Butch Keeling?